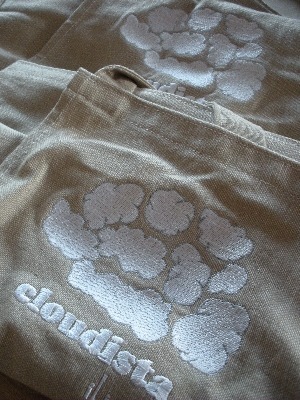 Cloud spotting and craft beer? 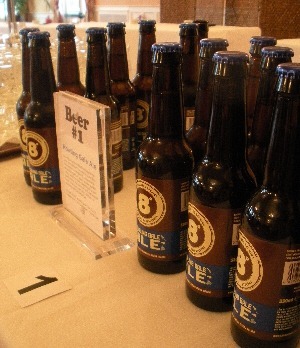 It’s all about savouring the moment – and savouring the flavours – according to the Eight Degrees Brewing Husband at the start of the beer and food matching event, which was held in Skibbereen last week to raise funds for the Irish Cloud Festival. Our aim, and this goes back to the living-in-NZ-days, was to show people that there are lots of Irish craft beers that you can match with food. It just takes a little thinking outside the box. The event was held in the West Cork Hotel, which is also the location for much of the Irish Cloud Festival, and it gave us a great opportunity to bring North Cork beer to meet some West Cork foods and see how they worked together. Servings of a richly spiced Thai Chicken Curry with Eight Degrees Brewing’s Howling Gale Ale was very successful. The hoppiness of the ale was more than a match for the heat of the curry, with a crisp bite to cut though the creamy coconut milk. 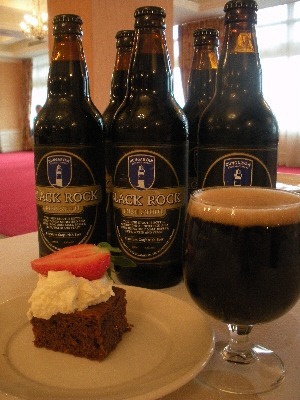 The Bandon Chocolate Brownie and Dungarvan Brewing Company‘s Black Rock Irish Stout caused the most debate but there were many converts to this chocolate/stout pairing by the time the tasting was finished. There was one gentleman, however, who did come up to me afterwards to say that he’d tried the Thai curry with all the beers (!) 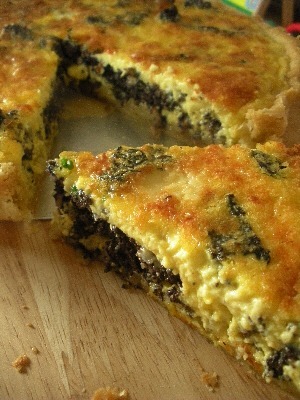 and that the stout was a perfect match. But the star of the night was the new-brewed Sunburnt Irish Red from EDB. The first tasting had happened that morning at the brewery: the Husband spent a considerable part of the journey down to Skib extolling its virtues. After all that talk, as soon as he set up the tap, we all – Bridgestone editors and brewers, journalists and helpers alike – were straight in there for a taste. It just happened to coincide with the arrival of the first punters, who were greeted with the sight of us standing around, glasses aloft as we tasted and savoured the sweet caramel notes, neatly offset with a slight bitterness from the dark roasted barley. In a word? Superb. An opinion that we heard more than a few times during the evening. We had a simple bruschetta of Gubbeen cheese and salami (on Field’s bread) to accompany it. That worked really well, but I’m interested in expanding the match: there’s the makings of an Irish farmhouse cheese plate in the fridge, just waiting until the bottles are ready to drink (approx 10 days and counting but now available on draft at L Mulligan’s in Stoneybatter – you can read their review here). Read: More information on the Irish Cloud Festival is available on the Irish Cloud Appreciation Society website. Listen: Sally McKenna talks to Caroline Hennessy of Bibliocook: All About Food about the Irish Cloud Festival, which takes place in Skibbereen on 26 and 27 June. I misread your piece and was delighted to read it as “the happiness of the ale was more than a match for the heat of the curry ” nice bit of serendipity there. That’s the best bit of mis-reading I’ve heard of in ages! Maybe a little lost in translation? I have had loads of feedback since the event, and everybody really enjoyed the *challenge* of deciding which food went best with each beer. Fabulous beers and the West Cork Hotel did us proud with the food as well. Thank you to all involved. The next time I think we’ll have to have score sheets for the matches – it looks like there were a lot of people who would have enjoyed the opportunity to use them. We had a great time, as you can see, so many thanks for asking us!